On February 6th, Penny Kuckkahn taught Robert Voelker-Morris how to use VoiceThread (VT). Robert served as the designated learner. The event took place using web-conferencing, Adobe Connect. Below are my notes from the chat on lessons learned. Designated Follower (DF). Participants are given the choice to watch or to follow along. The Designated Follower helps a beginning learner stay with the training by asking questions from the follower perspective. Designated Kibitzer (DK) adds random informative comment during the training. Again we discovered nuances that emerged during the training that were unanticipated. For example, Robert's (the DL) specific use for VoiceThread involved embedding the VT into a learning management system. This added another layer of complexity. We need a pre-module on how to use mics in Adobe for those who might want to use mics during the training. Suggested that some sort of training may be needed for students, maybe record a demonstration. Encourage (if relevant) all participants to have access to what was built and test it briefly. 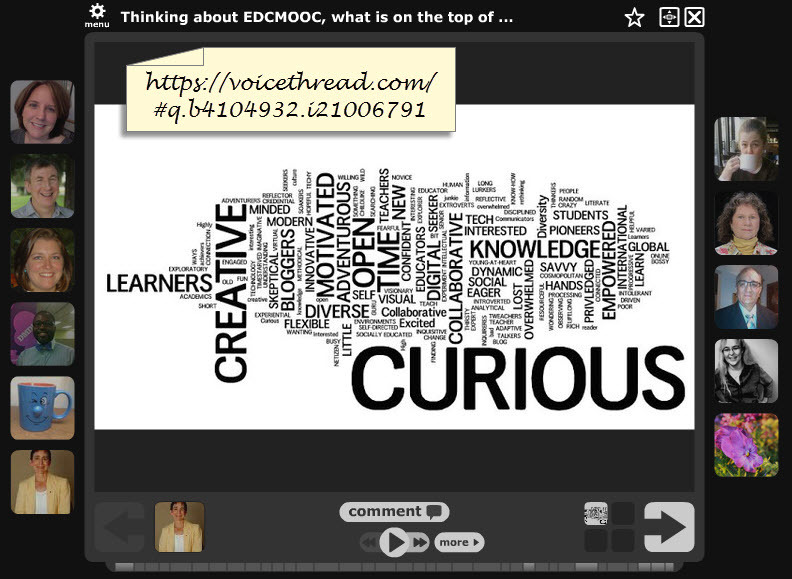 The group decided to continue the learning about VoiceThread on February 20th, 3:00 PM ET. This link will take you to the registration page. Please share a link to the VoiceThread that you create in preparation for the session on 2/20 by commenting to this blog post. I've made additions and revisions to the Designated Learner slides. Your feedback is always appreciated.